Games have evolved over their relatively short existance, but as the hardware has been pushed to the limit, it hasn’t necessarily driven better games. Sure, now games have extensive cut scenes and all sorts of wonderous graphics, but I believe what has driven newer and better games have been the controllers. In this extensive Retro Garden feature I have a look at some of the controllers that have shaped video game history, as well as three that – well – haven’t. Slight deviation: In this article I focus on controllers that are used for most games on the system. Lightguns were battery hungry rubbish that don’t work, so I haven’t looked at things like that. So don’t complain if the NES Laserscope isn’t here. Because it isn’t. Early video games were built on large, room filled computers. As a result, there was few slots to plug things into, and less money available to waste developing controllers. As such, the early games such as Pong and Computer Space only had two methods of movement, so existing computer technology was used to control computers. Most computers used dials in some way shape or form, so to begin with, dials were used to begin with. They had their pros and cons. They were stupidly accurate – play pong with a joystick and play with a dial and you’ll know which one is better. However, they could be overly sensitive. Also, they didn’t allow much freedom of movement beyond two planes. Probably the architypical joystick of the 8-bit era. The Atrai 2600 was one of a number of peripherals available for the system, but this one allowed more than just dial movements and plugged the world into full 2D movement. Furthermore, it also utilized a standard port which could be plugged into the Commodore 64, Atari ST, Amiga, Master System and Megadrive (as well as more), and is still recognised today. 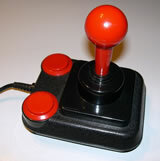 It was overly stiff at times, but was the first popular joystick available, and is still remembered fondly today. So much so that it is featured on keyrings and direct to TV multigames. A recent magazine article also stated this controller was very popular with women for it’s, erm, durable nature. Sensing a gap in the market, Competition Pro Joystick became the first joystick to take advantage of the fact that the ports all worked the same, with multiple buttons. Because of this, it sold itself to a number of systems, from the Commodore 64, Amiga, Atari ST and Master System. 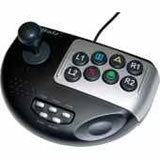 It had two buttons as well, and – whilst probably not the best selling or best joystick out there – it has become one of the most iconic “third party” joysticks, used in banners and also a copy of it’s design was used in Commdore 64 DTV system. 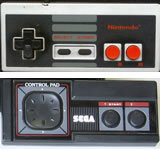 Consoles became the next big thing after the triumph of the 8-bit computer era. The NES was there first, in 1983 beating the first incarnation of the Master System by a couple of months. But how would you control these consoles? Joysticks had a nasty knack of breaking easy, especially with joystick busters such as Track & Field, or the worse Spy vs Spy 2. It’s no surprise that the only two working Commodore 64 joysticks I own today are have tiny shafts (don’t giggle), barely big enough to wiggle with 3 fingers (again, stop the giggling). So the NES did away with the joystick altogether, allowing you to press the digital keypad directly under the joystick with ease. This made it ideal for the NES and Master System’s choice of games – platformers. Joysticks didn’t like it, regularly becoming such and unwieldy. Mario – with it’s buttons for jump and fire, leaving up useless, and pressing down ducking, made pixel perfect jumping a breeze, and made a control system for years to come, a control system without joysticks (try playing Smash Bros Brawl’s Adventure Mode with a Classic Controller to see what I mean). With all it’s plaudits, both the Master System and the NES’s controller suffered a fundemental flaw, you had to have hands with right angles in them. The Sega Megadrive, with an extra 16 bits, knew that it may have to spend a little bit of time on controller enhancements. The controller was cool, it was black, it was shaped like the thing Batman throws, and it was so easy to hold for long periods – like a loved one. Sega knew that erganomically happy gamers lead to we throw money at you gamers. They also stuck an extra button on it. This took the developers by surprise as a lot of games didn’t take advantage of it to begin with (such as Columns/Sonic) or shoehorned in a rubbish command with it (Italia 90’s “Pass”, which is weak, and useless). 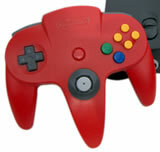 Still, it paved the way of awesome controllers. Back to those joysticks, and some people think that Analogue Joysticks were invented with the Nintendo 64, right? These people are wrong. 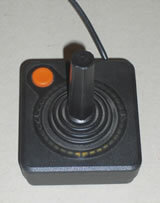 Analogue joysticks have been around for years on the 16 bit computers. Popular with flight games, driving games, and just any sort of game that requires overly precise movement, analogue joysticks were also built to last, which explained their hefty price tag that only monarchs can afford, rumours that Prince William bought one to train on flying helicopters may be untrue though. A quarter of the way through the 16 bit console era came that wonderful wonderful time of beat-em-ups. Yes, it began with Street Fighter II and is still in drips and drabs today. Street Fighter pretty much dictated the need of six buttons, and the SNES was first up. I know the Megadrive had the six on the face buttons, but I preferred the SNES’ two shoulder buttons. Helped immensely for fighting games and put to good use for Super Punch Out and Street Racer. Top work Shigsy! Come the Sony Playstation, and the 32-64 bit era of games, more and more buttons were being placed everywhere. The 64 bit Atari Jaguar saw the most buttons on the controller, but that was in effect useless (more on that later). Sony gave us a fantastic controller with the PS1. Erganomically desigened so it was so easy on the hands, all of the buttons were in the right places, meaning none were redunant. The controllers made controlling games a breeze, and the triangle, square, X and Circle buttons became so cool it was used in Sony’s advertising and branding of the machine. Nintendo’s 64 bit console, the Nintendo 64, introduced a revolutionary new controlller that allowed for multiple methods of control. As well as a traditional joypad and six buttons, you also got an analogue stick for precise movement, which worked well for it’s primary source of games – 3D platformers. You also got a trigger button on the back (ideal for games like Goldeneye) and shoulder buttons. It didn’t work well for some games (beat em ups), but for many games it worked fantastically. As well as this you got an expandable slot on each controller for memory packs or rumble packs, and it worked really well. Nowadays, multple controllers have expandable packs. Seems to be a theme here, doesn’t there? Nintendo shocked the world with hit’s basic design for it’s controller for the Wii. It looked like a retarded remote control, with only two buttons, and a pointer. However, with the advent of Wii Sports, Nintendo showed that there was a lot of power in it. Instead of simply moving a controller, you could swing, wiggle and make all sorts of movements corresponding to your character on screen. It’s not completely revolutionary (a number of golf games used a similar method with the mouse as what happens on Wii Golf), however it has pushed the boundaries of gaming further, as games such as Pro Evolution Soccer for the Wii shows. Below are three Joypads that, in my opinion, sucked. In the midst of the “lets put as many buttons on a joypad as possible” this took it too far. The controllers were light and felt like they were thrown together, yet were so awkward. The controller contained a grand total of 17 buttons and a D-Pad, however most were completely unusable, as they were based on a keypad. Some games like Doom did use them, but that lead to further problems as you sometimes leant against the buttons unwittingly, which resulted in a switched gun, and untold consequences. Don’t get me wrong, I thought this was a great idea in principle. Basically, the VMU’s (the Virtual Memory Units – the Dreamcast version of the Memory Card) plugged into the controller, but they had a screen. That screen added extra information to your game, such as stats and stuff. However, you could also download small games to the VMU, and play them on the move, as the VMU had a controller. This was an awesome idea in principle, but there was three main faults. For one, it ate up the battery like nobody’s business, and if the battery died, that’s it, you lost your game. It was easy to replace the battery, but it sucked no end losing your way. Secondly, no real games used the screen beyond stats and an animation – if somebody had released a texas hold em for the dreamcast, then it could’ve be used. Finally, it was rather expensive, around £15 more than a standard memory card. Oooh controversial! Yes, I hated the Dual Shock for the PS2. So it’s here personally. The vibration on it was too strong (yes, you could turn it off), and mine seemed to break rather easily, even though I hardly played on it. The other thing I hated was the overly analogue buttons. Basically, like the joypads, the buttons could detect levels of compression, meaning that you could control the accelleration in driving games. This was fine for driving games, but completely ruined fighting and other types of games. Furthermore who doesn’t floor it on driving games? Mine also rattled. Great system, average at best controller. What are your thoughts? Have I missed off a classic controller? Or do you feel that I’m being unfair. Leave your thoughts in the comments or on the forum! Click here to discuss this article in the forum! You’re out of your mind! The Dual Shock 2 is easily the best controller on this list. I often find myself wishing I could use it with all of my games, and I’m not alone! There’s a reason there was such outrage over the SIXAXIS and joy when the Dual Shock 3 was released. I have to disagree yatpay. Dual Shock 2 was basically an update for the original dual shock, but in black. It was hardly a major upgrade sony were promising, but nevertheless I bought a PS2 with high hopes. The whole “analogue buttons” thing was pointless, every track and field game was ruined because you couldn’t button bash, and fighting games which at times require delicate tapping of buttons in combos, were scuppered. Driving games they worked well, yes, I admit. Again, I spoke of my experience, and my experience were that they broke far too easily, and buttons became stuck. I haven’t played on a PS3, so I can’t comment on their controllers. 2. break easily? thats only ur experience, in my experince, even the cheap usb rip offs of ps2 controller are rigid. Clearly i m not making a point, but neither are you. 3. Control scheme is so not a good argument. You can see as controllers have evolved, the ps2 controller has added things and not taken away anything. Which means, if u dont like any specific button, you can always choose not to use them. Most games let u change the control scheme. Honestly even I used the d-pad instead of analog for some games. Controller is not the thing to blame here, games are. You know, Wii is the most crowded console with bad games, the motion sensing is misused widely, but then why did not you put it in “sucked” category? You got it right for wii: Controller is not the thing to blame, games are. my flat thumbs are testament to almost all of them. The Intellivision controller was one of the most memorable for me. A disc-like directional controller with a number pad underneath it that you could use slide-in inserts from games with, allowing for many more buttons with easy to grasp funtions. Unfortunately the inserts make for emulation of Intellivision games not as easy. I am also here to comment on how awesome the Dual Shock is. I just find the Dual Shock and 6-axis controllers actually fit my hands. X-box, GameCube and Dreamcast controllers are all huge. I like the weight from the oscillators (which the 6-axis is missing) and all the buttons fall into the right places. Unlike other controllers, I don’t find myself accidentally hitting the triggers. 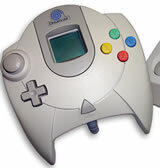 As for the Dreamcast – I agree that the controller was a case of great idea, poor inspiration. I liked the thought of having a mini game with my console, and being able to see my little screen as I played. Unfortunately the controller was huge, felt cheap, and the VMU was never really used (and had almost no battery life). I guess a lot of things about the Dreamcast went that way. As much as I was a Sony hater for the PS2, I’m going to have to admit, the Dual Shock for Playstation 2 is probably one of the most effective controllers to date. The buttons were well-placed and there wasn’t too many of them. Dual analog joysticks were great for FPS and felt natural. Logitech makes a wireless one just like that for the PC, a tad larger than I liked, but it works great for what I need it for. Although I did like the “tightness” or resistance that the N64 analog offered. Ah, the good ol’ days of the analogue PC joystick, where you were typically required to recalibrate it for every damn game. I also remember owning a gamepad on PC, back in the late 90s, that looked a bit like the SNES controller. It wasn’t a “proper” gamepad, in the sense that you actually mapped keyboard settings to its various controls. I think it was mainly marketed at people who, for whatever reason, weren’t able to use a game port on their PC. I used it as a second gamepad for emulated 2-player games.